I’ve been reading a lot of comments and posts lately by “gifted” individuals — people who score high on IQ tests — involving the Imposter Syndrome, and its closely related cousin, the Failure Syndrome. The former is when you succeed, but don’t think you should have, and the latter is when you think you should succeed, but don’t. Both of them are errors in self-assessment, yes, but to a greater extent they seem to be a misunderstanding of what success actually looks like. I turned 60 last year, and I’ve been out somewhere beyond the 3rd or 4th standard deviation of “giftedness” all my life. I’ve suffered from both Imposter and Failure syndromes at various points, and I think I finally have enough perspective to make at least a few comments. I have to deviate from conventions of modesty for just a moment, so that you know who is speaking. I have an advanced degree in physics from a premier research university. I moved into software development, where I’ve remained for nearly thirty years. I’ve started four companies (three failed). I have my name on several patents. I have a blog, one published short story, and a bunch of (as-yet) unpublished writing. I play the violin well, and once toured Europe with it. I worked up enough performance skill on the piano to play Chopin’s Aeolian Harp Etude, then never performed it. I recently sang the Bach b-minor mass as a member of an 80-voice choir at a well-known music festival. 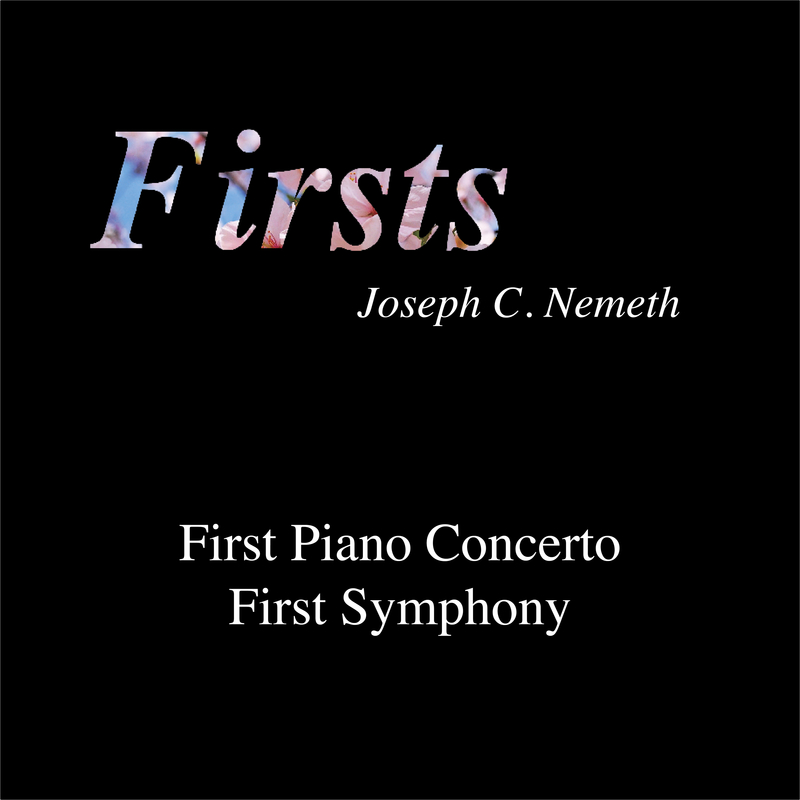 I have composed a piano concerto, a symphony, a mass, and numerous other works, and have even had a handful of live performances. I have a home, children, grandchildren, a wife, and good friends. You would think with all that success, I’d be a fascinating person to talk with. I’m not. I’m moderately boring, sometimes irritating (sometimes very irritating), and my life is quite pedestrian. On a typical day, I get up, make breakfast, pour a cup of coffee, then “go to work,” which consists of unblocking the screen saver on my computer and logging in to a remote site. I sit and stare at the computer screen most of the morning, interrupted by occasional phone conference meetings. I make lunch, and spend the afternoon doing what I did all morning. I pour a glass of wine after work, help my wife make dinner, we eat and chat, then I wash the dishes. I read, watch TV, or “kill orcs” (play video games) until it’s time for bed. Next day, reset and repeat. So how on earth did such a boring person write a symphony? One note at a time, just like symphonies have always been written. The thing that most anguished, syndrome-suffering gifted folks misunderstand is Time: the slow accumulation of minutes, days, and years. Sixty years is a lot of minutes, so many that the number is meaningless to the human mind, yet a single minute is enough to compose and orchestrate a musical phrase. Yes, you have to learn how — that’s another accumulation of minutes. You have to spend still more minutes getting past your Failure Syndrome, and your Impostor Syndrome, and your stage fright, and your childhood traumas, and your adult traumas, and your phobias, and the trials of marriage, and raising kids, and enduring in-laws, and working for a demanding boss, and dealing with an unjust society that keeps you down, and watching over friends having emotional melt-downs, and paying bills you can’t afford, and filing tax returns, and all the rest of the things that make up the boring details of a life. After all that, there are still plenty of minutes left to sleep, make love, go out to dinner, watch football with friends, play video games, and write a symphony. Yet there are never enough minutes. They run out. You cannot get it all done. In my late forties, I was diagnosed with stage 4 colon cancer, which could have been terminal. Had I died, nearly all of my music, and all of my stories would have died before even being born. In other words, I did not really bloom into all this success until I turned fifty — an unthinkable number of minutes into my life. I have, perhaps, another twenty or thirty productive years’ worth of minutes. At some point, I will become unproductive or die, with things left undone. Even the most successful die too soon. Beethoven never wrote a tenth symphony. Mozart never finished his Requiem. Steve Jobs never got to collaborate on the iCar. You cannot get it all done. You see, you actually cannot succeed, because “success” is an ever-moving target. A child who dies at the age of nine months has perhaps never succeeded at the simple task of standing on his own two feet — all he has done is to try, and fail, and try, and fail. He did not stand, or walk, or run, or write a symphony. He did not get it all done. Yet, that same child learned to suckle, and to roll over, and to crawl: all that could be expected in his short allotment of minutes. As a gifted person, you were likely sold a bill of goods regarding how your future was going to play out. You were sold fantasies of success and recognition at an early age: of winning the National Spelling Bee, or the State Science Fair, or the Intel Prize, or an advanced degree followed by a Nobel Prize. You were sold an exciting life, filled to the brim with nothing but success. What has actually played out is a boring life, even a hard life, full of too many minutes. What I want to say here is that this is exactly as it should be. Gifted is boring. As is every life. Maybe the impulse will come to nothing at all. Then again, maybe it won’t come to nothing, and you will accomplish something extraordinary. And then the minutes will roll onward, giving you an opportunity to do something extraordinary again. After a week of binge-watching Netflix. Take heart, be patient, be curious, be unafraid. All you have are minutes, and they are precious, even when you choose to “waste” them. I think you are a fascinating person to talk to! Themon, WOW! This post was really helpful! And you have done quite a few interesting things amidst the boredom of life! Yes, “boring” seems to me like a four-letter word. I hate being boring, and I have a deep-seated fear that if I say what I have to say (it’s taking me forever to really find my own voice and fill it with content, and I’m a few months short of 40) my words will be deemed irrelevant. I have had a couple of accomplishments, modest successes compared to yours (probably my IQ is much more modest than yours!) and yes, success is a moving target. I’m also skeptical of measuring my ultimate value in getting from A to B and then to C. I believe it’s much more complex than that! My ultimate goal is to become ever more authentic with myself, and being able to somehow display anything of value to others (and help a couple of people in the process). If you say what you have to say, your words will be deemed irrelevant. Say them anyway. I could not agree more about value. It’s kind of a natural corollary of realizing that success is a moving target, and in many cases, merely a milestone on a path leading in a direction, not a goal at all. I like the idea of being a toddler. You don’t get a prize for standing up and walking, you get the pleasure of being able to walk to where you want to go. You don’t get a prize for getting where you want to go, you get the pleasure of being somewhere — or someone — you want to be. To give you one example that totally reflects what you’ve just said, my life dream is to write a novel. When I was a young girl who was being bullied at school, I had grandiose dreams about earning a Nobel prize for writing. Fast forward 30 years. First novel yet unwritten (this totally ties in with the impostor syndrome, of course! ), and I have come to evaluate success totally differently. I don’t care all that much if a million people or a single person reads my work. Success for me would be to be able to just sit down and write it. Even if no one in this whole world cares. If I can just do it and get to THE END and post it online for free, even if the number of views is at zero, it would still feel like a huge success to me. I can be my own worst enemy when it comes to meeting this specific goal. I recommend joining a writing group, and attending writing conferences. I had a very good experience with mine, which was the Northern Colorado Writers’ Group in Fort Collins. We formed a small subgroup of SF/Fantasy writers, read for and critiqued each other, and at this point, I think all of us in the group have published. It changed my entire outlook on writing, and in good ways. I live in Argentina, so while I would love to attend a writing conference over there (I know there are some really good ones), at the time I could not afford it. But, yes, getting some creative writing training is definitely a possibility and I have been in touch with writers on Facebook and read writing blogs. One of my biggest issues has been time. Four months ago I resigned from a high-demand, low-pay job as translation Project Manager. The demands of the job + my need to do everything perfect = stress, burnout. Now I’m working as a translator and editor for an organization that pays fair rates, with a much more relaxed schedule (I need to work half the hours to earn twice as much as I used to! ), but I will need a couple of months to recover from my previous exhaustion. Your post really entertained me, made my smile, even laugh – and of course also think (which is something we ‘gifted’ love and sometimes maybe overrate a bit, too). Therefore the idea of being ‘gifted’ and what this implies was a game changer when I came across the body of evidence. I had advocated about redifining success before. But at 45 it suddenly made sense why I was rather successful according to societies standards but did some kind of struggle with really ‘boring’ or ‘stupid’ aspect of dealing with life. And, even more importantly, this meant that there were others ‘like me’ – from different planets (many! as 2.3 out of 100 is somehow a lot if you look at the world’s population). That’s why the IQ question can be ‘thrilling’ as well. At the same time I believe that the g-factor is highly overrated and even maybe not a useful concept at all for our society which IMHO should teach emotional intelligence and resilience in kindergarten and all throught the school curriculum rather than lots of the stuff that’s valued important in Western societies. Because I agree, it’s all about the minutes, and the ups and downs and routines of life. Maybe it’s even about the moments. Beacause only the present moment is real after all and HOW we experience it makes us more or less successful. Your post and story inspire me to dig even deeper into ‘boring’ and channel my creativity in more ways (and write this children’s book rather sooner than later). Thank you! I can relate, Patricia! Emotional intelligence *was* my greatest issue growing up. I suffered physical and verbal abuse at home, because I was smart but very clumsy, and kept getting on my daddy’s nerves by misplacing or breaking things, especially *his* things. I suffered bullying in school since I was nine. My first experience was in part because my parents kept telling me I was a genius and displaying me as a circus animal before neighbors and friends. I learned to read on my own at age 5. Of course, considering some high IQ people, a very modest age. But my parents were awed at this. I had received no stimulation either from parents, brother and sister or friends. I just loved hanging out with older children and learned from watching them. I wanted to be older (my sister is 3 1/2 years older than me) and play word games with them. I also learned by watching my grandpa solving crosswords. And when I learned reading, I was voracious. I literally wanted to read all the books in the whole world. I had to know just everything! And my parents kept pointing out the difference, as if being smart meant I was better than other people. It seemed the only thing my daddy valued was how smart I was, so when I showed up in first grade with perfect reading skills at a time when not even letters were introduced in kindergarten, I just told the teacher and my classmates, and kept showing off! Really, growing up I wasn’t told that being emotionally smart was just as important as intellect. I had to learn it the hard way. I wish school had taught us less academic content and more life skills. Bullying was never handled in the three schools where I attended and experienced it. Teaching of values was pure rhetoric. I learned as much from *bad* examples (far too many!) than from good ones. And only in my late twenties did my EQ begin to match my IQ. Until then, my development was very asynchronous. Yes, on the one hand I’m all for intellectual stimulation. I’m all for satisfying and at the same time fostering children’s curiosity. But at the same time, considering my experience, if we consider high IQ people to be a “walking brain” and don’t attend their emotional needs, that’s really dangerous. I went through a serious psychiatric crisis at 21 because I kept going and going in spite of being heartbroken and mentally drained. If I’d been taught how to manage my very intense emotions (I have all 5 of Dabrowski’s OEs), that crash which almost killed me could have been avoided.